Jennifer McLagan always seems to know what we want to read about, and cook, before even we do. 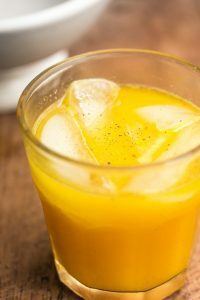 She wrote a slew of popular and award-winning books, which include Fat (which bravely came out during the low-fat craze, and nevertheless was a big hit), Bones, and now, Bitter: A Taste of the World’s Most Dangerous Flavor. The book is a celebration of flavors that are on the cutting edge, taste-wise. Some things, like bitter melon, I can’t handle. Sorry. But others, like greens such as frisée and Belgian endive, bittersweet chocolate, and citrus fruits, I’m totally on board with. She also seems to know what we want to drink because she came over to my place in Paris and brought a bottle of homemade tonic water. I looked at the amber brew and put it in the refrigerator until I could figure out what to do with it. I’d never imagined making my own tonic water and was happy to buy the little bottles of the upscale brew, ever since switching away from the commercial brands. And once you’ve gone to the good side of tonic water, it’s hard to go back to the stuff in plastic quart bottles. Once I finally worked up the courage to open the bottle of flavorful mixer that she had given me and used it in a few cocktails, I was hooked. After a trip to Ireland where I attended a gin tasting, my dormant love of gin and tonics had been reawakened, (as was my appreciation for the Irish…), and I started stocking my bar with gin again. At the tasting, master distiller Desmond Payne took us through a tasting of gins, and also confessed that he needs his daily gin and tonic. Which, to be honest, I’m starting to have the same feelings about this very summer too. When Mr. Payne traveled through Japan, he told us, he learned that quinine is considering a drug so he has to find another mixer for his daily dose of gin and tonic to replicate that flavor. (He uses some black tea, which he found has some of the same flavor compounds.) But drinking excessive amounts of quinine-rich tonic water isn’t a good idea. And it’s never a good idea to drink too much of anything, including gin, tonic, or gin and tonics. So take it easy on ’em, and know your limits. Closer to home, in other places like France and the United States, quinine isn’t considered a drug and you can get chinchona at an herbalist. I took a walk over to an herbalist near Saint-Michel and after explaining to the owner what tonic water was (in France, they often refer to it just as le Schweppes, by the brand name), she still had no clue as to what I was talking about. Which sometimes happens, but is usually in reference to my American-accented French. Fortunately the name in Latin is close to the way it’s pronounced in French, although you don’t pronounce the “h” in French. When I dropped that, and replaced the “ch” with a “q” (which, if it sounds complicated to you, welcome to my life…) she understood. And soon I was heading home with a tidy little packet of chopped bark. So I set about making my own tonic water, inspired by Jennifer’s recipe. 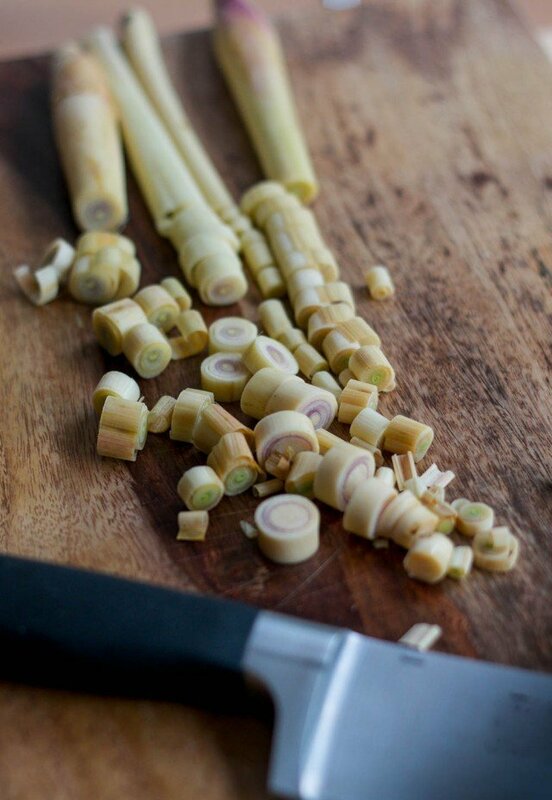 It takes a couple of days to make, and settle – and it took me a bit of time to find fresh lemongrass – another trip, this time to the Asian market was in order. (And people ask me, “What do you do all day?”) But once I had it all together, including myself, I infused the chinchona bark with the spices, citrus, and chopped lemongrass, then waited patiently for the magical brew to grace my next batch of gin and tonics. 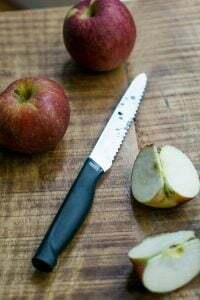 One thing you will find is that the flavor is a lot more powerful than bottled tonic water, so this gets cut with sparkling water when using it, due to its strength. And like gin, homemade tonic water should be enjoyed in moderation. À votre santé! Adapted from Bitter: A Taste of the World’s Most Dangerous Flavor by Jennifer McLaganI changed up the spice mixture from what Jennifer used and tinkered (ie: customized) a few other things. Some people add a teaspoon of dried lavender to their tonic water infusing along with the allspice, and I also included some cardamom, since I like that elusive flavor in my cocktails.I used chopped chinchona bark, not powdered chinchona, which comes broken into little pieces. I’ve listed sources for that, as well as the citric acid, after the recipe. If you can’t gather all four citrus fruits, feel free to substitute one for another, ie: 2 oranges instead of 1 grapefruit and 1 orange. Since you’re using the peel, it’s best to use organic or unsprayed citrus fruits.To make the simple syrup, bring 1 1/4 cup (250g) of sugar to a boil with 1 cup (250ml) of water, stirring frequently, for one minute, until the sugar is completely dissolved.To use this tonic water, mix it 1:1 (in equal parts) with sparkling water or club soda. 1. Pour the water into a medium-sized nonreactive saucepan. 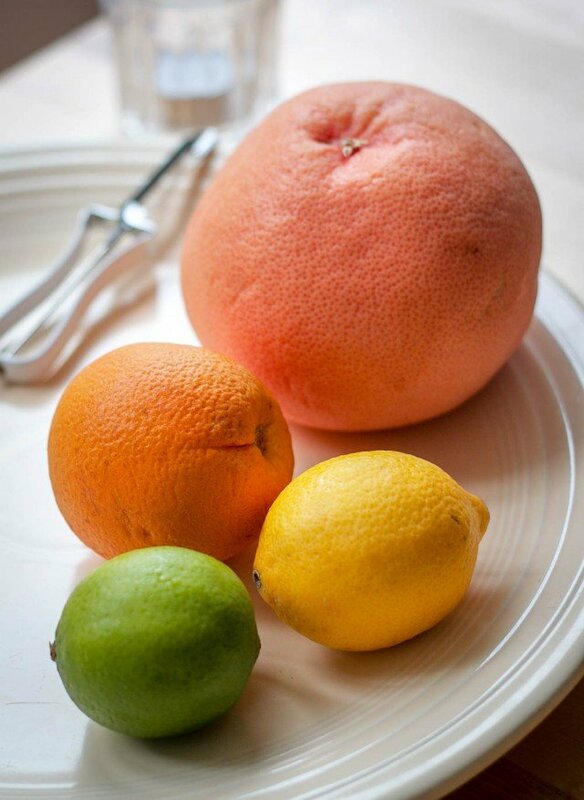 Add the zest from the grapefruit, orange, lemon, and lime. 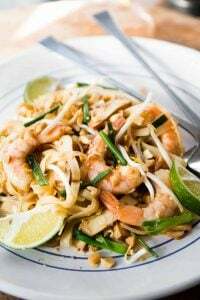 (You can remove it with a sharp vegetable peeler, in strips, or with a citrus zester.) Halve, then juice the citrus fruits and add the juice to the saucepan. 2. 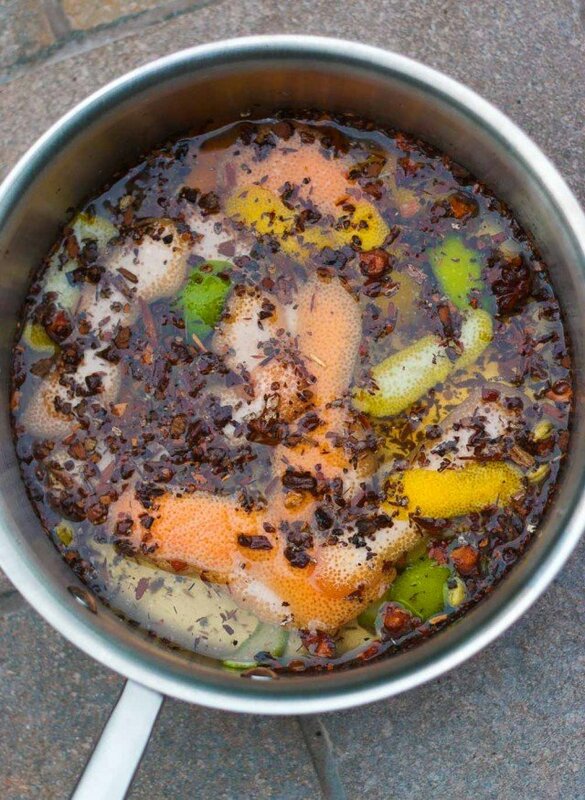 Add the lemongrass, citric acid, chinchona bark, allspice, cardamom, star anise, salt, and black peppercorns. Bring the mixture to a boil and reduce to a simmer. Cover with a lid, leaving it slightly askew, and let it simmer gently for 15 minutes. Remove from heat, uncover, and cool to room temperature. 3. Pour into a container, such as a large screw-top jar, and chill for 2 days in the refrigerator, shaking it gently a couple of times a day. 5. 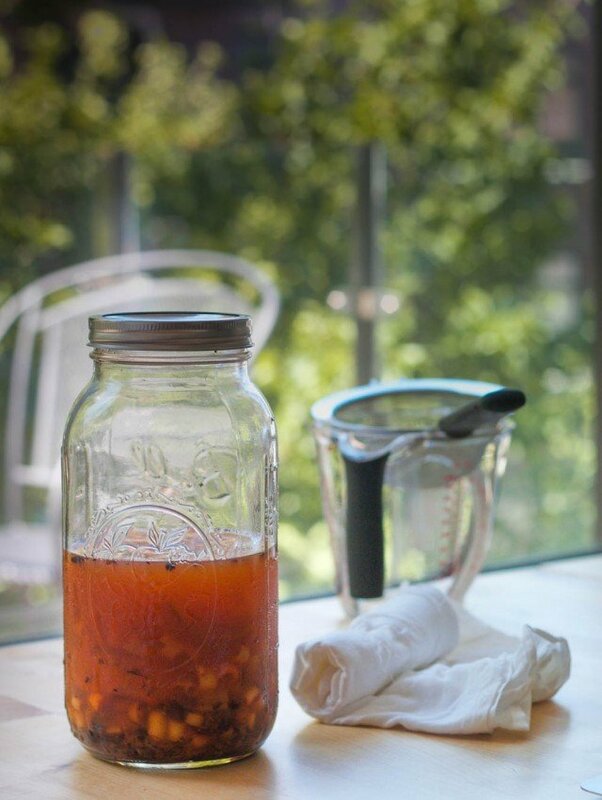 Add the sugar syrup, then pour into clean bottles or screw-top jars and refrigerate until ready to use. 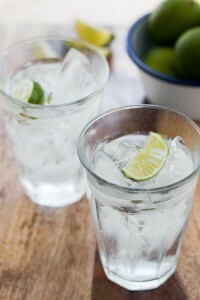 To use the tonic water: Pour off the tonic water, avoiding disturbing any bark and spice sediment that might settle into the bottom of the bottle or jar, then add an equal amount of sparkling water to obtain the quantity that you need. So to make 1 cup (250ml) of tonic water, you’ll use 1/2 cup (125ml) of the tonic water mixture, and 1/2 cup (125ml) sparkling water. Storage: The tonic water can be kept for several months in the refrigerator. Don’t tighten the lid as the tonic water can ferment a bit and you want any air to be able to escape. 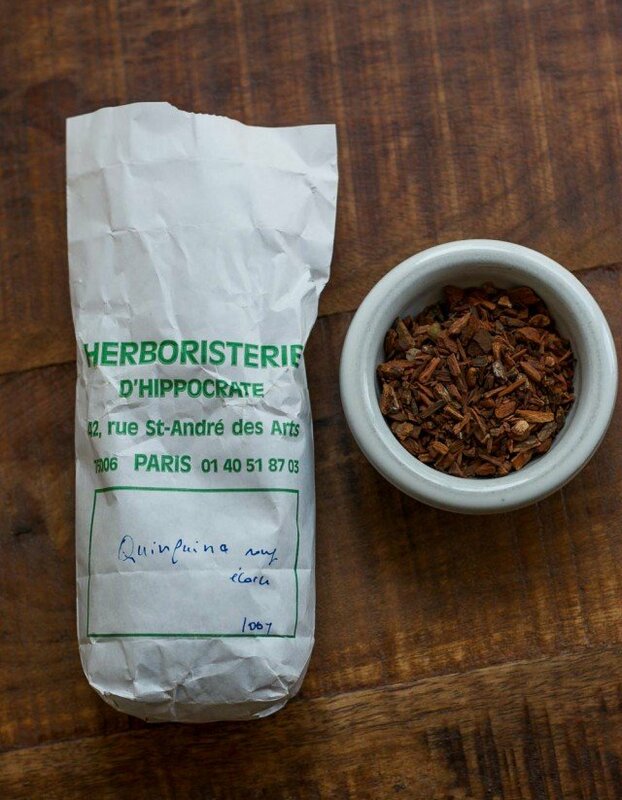 To Buy Chinchona Bark and Citric Acid: I bought my chopped chinchona bark at the Herboristerie d’Hippocrate (42, rue St-André des Arts, in Paris), and the citric acid at Sabah, an Arab market adjacent to the Marché d’Aligre). Check in your area for spice markets or stores that specialize in Arab or Indian foodstuffs for citric acid. Supermarkets sometimes stock citric acid in their canning and preserving aisle, or even a pharmacy. Online, citric acid, sometimes called sour salt, is available from King Arthur Flour and chinchona is available at Penn Herb Company. You can buy citric acid and chinchona bark on Amazon as well. To find other sources, check out my post, How to Find Foods Mentioned on the Site. Thank you! Very timely as I was just discussing how awful commercial tonic water is and that we spend all this $ on gin and then cut it with crap. J.McLagan lives in my city – she was way ahead of us with that Fat book! So fascinating! Gin is my favourite, and here in British Columbia there are some excellent small batch distilleries that produce exceptional stuff. I’m always looking for ways to improve my G&T repertoire, so I’m excited to try brewing my own tonic. On another note: I’ve recently discovered the magic that is cucumber soda, which, while not tonic, is FABULOUS with a good gin. Add a couple of drops of good bitters and it makes the best Pink Gin you’ve ever had. I’ve been using Mr. Q cucumber soda, too. Thanks for the tip on adding bitters. Hendricks is the house gin around here, but I’d love to hear what all you connoisseurs like to drink. Wow, this is such a great idea! I just discovered tonic syrup, which I love, but this is a whole new level of delicious! Thanks for the post. This sounds so fabulous I’m inclined to skip the gin! Brilliant! I’ve actually been ISO a reliable recipe for homemade tonic. Can’t wait to try. Merci! Or, you can go to Oaktown Spice Shop and order their Tonic Water Kit! You must hit this gem next time you are in Oakland CA, David. You will not get out of this shop without an armful of spices you never knew you needed. And they do mail order, too. David- thanks for some new flavor notes to introduce to my own tonic blend. The most common side effect people sometimes get from over-indulging is diarrhea so folks should follow your advice and not go overboard until you know your tolerance. For those troubled with leg cramps at night, a small dose of the syrup at bedtime may help. Up until about a decade ago quinine tablets used to be available by RX for those with nighttime leg cramps, but there are a few cautions people should read about. And hey-golly, there’s quite a few other bedtime probs that could benefit from a nice G&T. 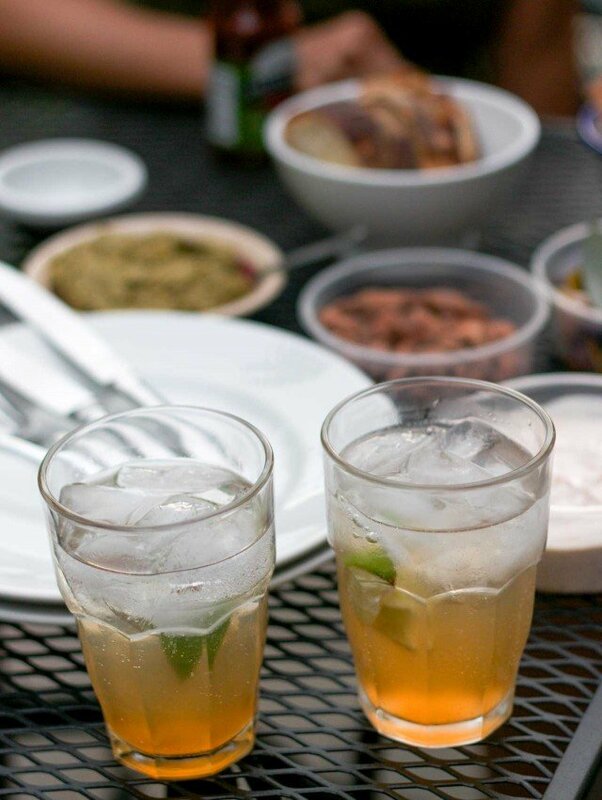 Once you start having homemade tonic there’s no going back to the commercial stuff. Thanks for the new recipe ideas as usual along with your usual “dose” of common sense. 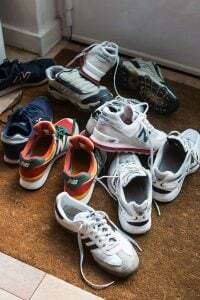 The first time I suffered from night foot and leg cramps, which went on for two consecutive sleepless, screaming and pacing nights before I called the doctor in absolute desperation, she prescribed quinine pills. Each single pill solved the problem for a couple of weeks. This was a miracle drug. Then when I went for a refill was told some folks suffered heart problems and doctors could not longer fill this malaria drug off-label. I would not drink that vile stuff in bottles from the shelf because of so much sugar and I would have to drink something like 6 liters to get the same effect. It has been ten years that I have been looking for a solution though eating lots of bananas, almonds and dried apricots has helped. Maybe, just maybe, this will do it! I will let the world know if it does. Lynn and Carol: Once you taste really good tonic water (homemade, or a good brand like Q or Fever Tree), it’s hard to go back to the commercial stuff. Fran: Yes, many herbs (and spices) can have other effects if consumed to excess. I just read about someone who expired from eating too much cinnamon. I guess the back story on Oak Town is they originally started making up the tonic water kit for bartenders, and it caught on and they couldn’t keep up with the demand fast enough. It’s now a huge seller for them. I agree, if you can get the ingredients it’s much more fun to do your own, and then tinker with it after you see what it’s supposed to look and taste like. This is fantastic, earlier this year I experimented with making my own Lime Juice to replace Rose’s which is a nasty concoction of high fructose corn syrup, artificial flavor and artificial colors. This ist simply great; I long for Tonic during those hot summer days and like to mix it with juice of orange or blood orange less alcoholic than Campari and tastes just as well. And for Cinchona Bark and Citric Acid you can always try you local pharmacy- at least in Germany they should be able to provide those things. Do you think that this would work well substituting flat water for the sparkling and charging it with Co2? Great post that reminded me of my childhood in France. Quinquina bark was bought at the Pharmacie and my mother would boil it with a little water and a mixture of herbs and spices. 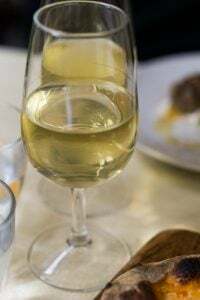 When cold, the brew was added to a bottle of red “vin de table ” (ordinary table wine) and drunk like an aperitif before a meal. Even us, children , had “un doigt”. We were told that it was good for our health, un “fortifiant”! Thanks for the memory, I had not thought of that for a long time. Gin and tonic, lots of lime. My summer cocktail. 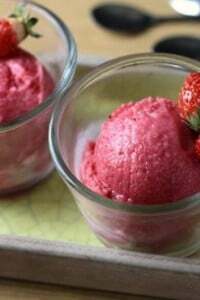 This is one recipe that’s on my list, thanks for sharing! Some things to know if you do this. Fever Tree Indian Tonic water (naturally low in calories) and Botanist Gin for me! For all you gin lovers, we tried a new English one in Spain so don’t know where it may be available, but it’s worth looking for!! Geranium. Makes the best martini I’ve ever tasted. I think it’s too subtle and special to be doused with tonic, home-brewed or otherwise. Look for it. You won’t be sorry. Mark: I haven’t done it but I’ve heard of people using Soda Stream machines (or similar CO2 charger) to add a fizz to things like this. It would possibly work, but you might want to check around the internet to see if others have done it before trying it. Johanna: Kalustyan’s is a great (and yes, fun!) shop. Thanks for mentioning them as a source as well. Alex: Camper’s article is interesting and I linked to it in the post, but appreciate you bringing it to people’s attention again. Like anything, moderation is best! Catherine: Kits for things to make are always fun, and it’s certainly easier. Their website didn’t specify what quantities are included but their place sounds great and I liked checking out their website, too. I have (and love) that book, and lucky you getting a visit from the author! I order other items from them when I’m preparing to make bitters: quassia bark, gentian root, and so on. I’ll always remember this quote (can’t remember who it’s attributed to): Everything in moderation, including moderation. Otherwise I need to find someone to share a batch of this with :). Something else to consider in the making of tonic– quinine is much more soluble in alcohol than in water. It takes somewhere upwards of 500x as much H2O to dissolve a gram of quinine than alcohol. I find that making a cinchona tea, reserving it, and then soaking the bark chunks with vodka to get out the quinine allows me to get the right balance of bark-y flavor and clean bitterness by blending them into the sugar and citrus syrup. Too much cinchona tea produces an unpleasant tannic astringency that can be avoided with this method. I looked at Amazon, and actually, they put the chinchona bark and citric acid as one-click “frequently bought together” items. Theirs is also a powder, though. However, I am in the East Bay, near Oaktown, so I’ll thank Catherine for that suggestion! David, I have made the Ballymalloe bread several times . 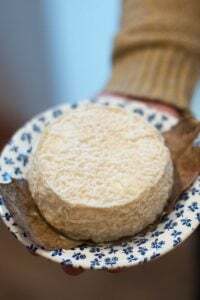 A coupe of times with fresh yeast and just now with dry yeast. Both times with a rounding success… I prefer that with the fresh yeast, but you have to be really picky not to like it with the dry yeast. Besides, fresh yeast is hard to come by..I was just lucky. So grateful for this recipe. Any chance of a recipie for a Rose’s lime juice substitute? I can’t find it in France. And I miss my gimlets. I had no idea you could make your own tonic water. I just thought it was, you know, Le Schweppes. The recipe reminds me of a brine — like for pork or poultry. Very cool. I’m soaking cherries in vodka right now — might have to mix that brew with some of this. Correct me if I’m wrong but isn’t Citric acid the same as Vitamin C powder? One can get the Vitamin C powder at Trader Joe’s. 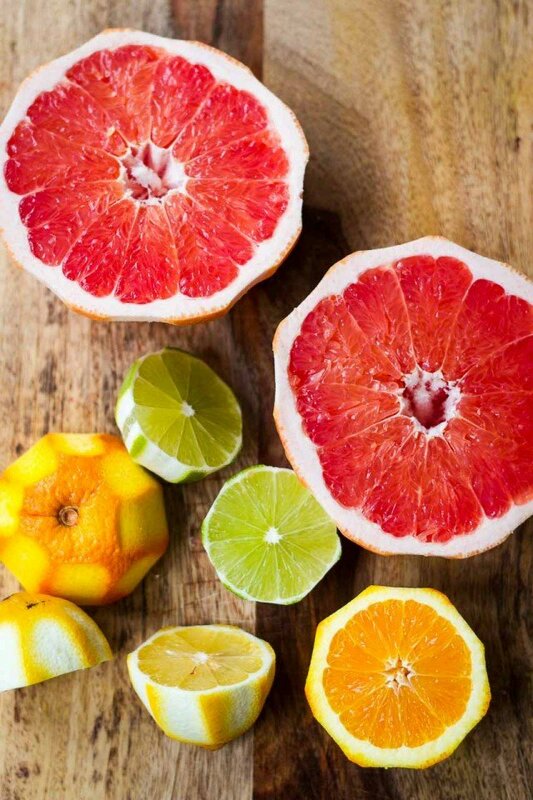 Vitamin C is usually ascorbic acid and is different than citric acid. Although they are similar in a lot of ways, I don’t know/think you can use one in place of the other. Ball citric acid is often available in supermarkets as people use it for canning purposes, notably tomatoes. I have made 2 batches of homemade tonic water. Same ingredients. Not wanting the sugar, I didn’t add the simple syrup. It’s bitter, but I like it. I’m recently retired, and people ask me, too, “So, what do you do all day?” How much tonic is too much? Thanks David, as always, for a great and informative post! Yes, being retired now is wonderful…David, your blog is so helpful in distracting me from my other more boring projects! Now I must make tonic water. Now on to the vegetarian foie gras.. Sounds so delicious! I’m a little confused though- after you strain the second time you remove the herbs and citrus and keep the bark and lemongrass in the jar with the liquid?? I love your off the beaten track recipes. I have made many and they are wonderful. Thank you! It’s strained twice. Once to remove the peels/spices/etc, and a second time through cheesecloth. Some recipe writers don’t say to discard things, assuming people will know that, but with the blog, often those things need to be clarified so I opted to mentioned to discard them. I didn’t mention all the ingredients that would be left behind, but yes, you do discard everything that’s jumbled together; the bark, spices, lemongrass and citrus peels. I will edit the post so that’s clearer. David, first I have to thank my sister who introduced me to you! And next a thank you >>to you. I love learning more food related mischief from your writing and lovely photography -and I really appreciate your great sense of slightly sardonic wit. You are a treasure. My sister who lives in Germany (I live in Pacific NorthWest- near Seattle), suggested that she and I start a “cooking club” where we each take a turn picking something from you for both her & I to cook or bake in our respective distant kitchens and then we compare notes. It has been so much fun; we both love learning & testing out new things. So thank you thank you-and “Cheers” yes homemade tonic is the best! Thank you David, will make a big difference to my evening voddy-ton! And thanks Linda for the Australian site, looks great, haven’t got time to look in detail now as Dog has to be walked (in this foul Sydney weather). A note of caution – anyone who has been treated for malaria should NOT consume quinine in any form including tonic. Not sure exactly why, have a close friend – and fellow DL fan – in that boat. The eastern states’ weather is a bit blustery! 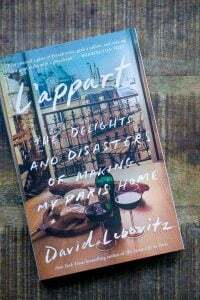 Perfect for a bowl of David’s French Onion soup….made it recently and it was delish! This looks fantastic. I grew up in India, where gin and tonics were all the rage–except all the ladies who lunch would add a green chile to the drink, slit up the side. Still how I drink my G&Ts today! Will have to try it with some homemade tonic water now. Yes!! I bookmarked this recipe in her book (and the beer jelly!) but did not know where to find the bark in Paris. And you have an address for me, like a magician. My weekend now has a project! Thanks. P.S. The radicchio tart is also really good, though the couple of butchers I asked wouldn’t sell me lard when I said it was for pastry. (Used butter, delicious.) Was not sure if that was because they didn’t have the right kind, or if it was just a quirk of France knows best, like when the pharmacist wouldn’t sell me antiseptic cream because ‘le savon est antiseptique, Mademoiselle’. I’ve been doing this for several years now, using a similar recipe. I’ve changed out some of the aromatics to make what I think is a tastier blend: instead of allspice, cardamom, and star anise, I use crushed juniper berries, lavender flowers, and fresh coriander berries. (The coriander berries are what eventually dry into coriander seed, but I harvest them from my ‘bolted’ cilantro plants while they’re still fresh and green – delicious!). Because the key compounds in the cinchona are alcohol-soluble, I make a slurry of the powdered cinchona and grain alcohol and let it sit over night. Lastly – I have a Soda Stream, and I carbonate my own water to make the fizz. I like doing it this way, because I can make the seltzer super fizzy, for a really fizzy G&T. My favorite bitter stuff: Campari. Does it have some of those same ingredients in it? You, Mr. Lebovitz, are so clever! :)…I must try this…sounds amazin! 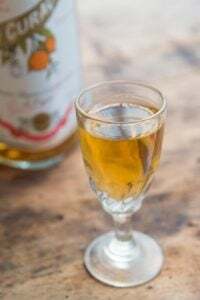 Along a similar track, I have been experimenting with making my own vermouth. I have loved the taste of dry vermouth on ice and have enjoyed anything deglazed with vermouth. After a lot of online searching, I have made a few batches, which range from passable to add a ton of carmelized sugar immediately. The book The Drunken Botanist by Amy Stewart is a trove of information, lore, and antidotes regarding plants used as intoxicants. Her information on Quinine is not to be missed. “We now know that Cinchona pubescens supplies the highest dose, as does C. calisaua and a few hybrids. While it may seem that C. officinalis with its official sounding name, would be the standard for quinine production, it actually contains very little of the drug” pg. 237. Of course that is the bark that is available in the U.S.
I’ve been making homemade tonic for the last two years. Your recipe is almost identical to mine except I use agave nectar instead of simple syrup. Interesting recipe. Seems the star anise might overwhelm, but I guess not. 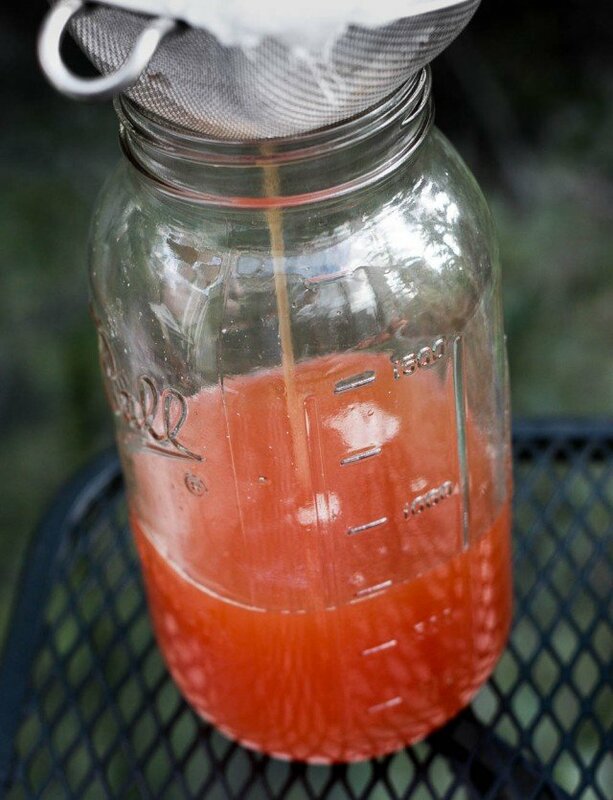 I’ve been making tonic syrups for 5 or 6 years. Started with the Morgenthaler recipe (http://www.jeffreymorgenthaler.com/2008/how-to-make-your-own-tonic-water/), moved to Shoemaker’s with Sichuan peppercorns and cadamom (http://www.chow.com/recipes/28699-spiced-tonic-water). The current version is based on the improved Morgenthaler recipe (http://food52.com/blog/10833-how-to-make-quinine-syrup-for-a-better-gin-and-tonic) It uses an alcohol extract of chinchona which is throughly filtered and added to the filter spice/aromatics extract. Produces the cleanest, clearest tonic I’ve ever seen come out of a kitchen. I’ve tweaked his spices, omitted the cinnamon, added allspice and cardamon, but the method is excellent. For what it’s worth, I’ve long since given up on lemongrass. it’s hard to filter and, to my taste, really adds little. Grapefruit and lime are important. Meyer lemon if available is great. Read with some interest the alcademics;com caution cited above, but I found it alarmist and irrelevant to a well made tonic. Unless you’re drinking chunks of chinchona in your tonic, you’re not going to get anything like the concentrations they cite. Thanx for your great blogs and books. I have had problems with cramps in my legs and hands for a few years. I have found that Schweppes’s DIET TONIC water with a squirt of lime juice has been a great help, and with NO CALORIES. 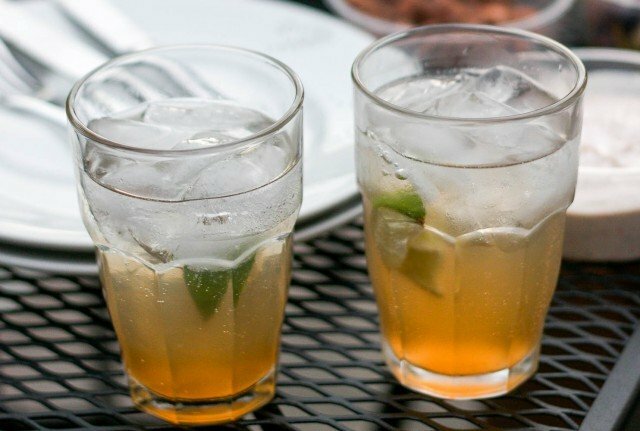 Thanks for sharing the recipe on how to create tonic water at home. It looks delicious. I looked around a bit, and was unable to find Cinchona bark anywhere in Bombay. Would it be a horrible thing if I completely left it out of the recipe? Or is there anything I could replace it with?? Since the chinchona is the main flavoring in tonic water, I can’t say what it would be like if you left it out nor do I know of a substitute. This sounds fabulous! I’m so inspired to try my hand at this too now. Thank you for the inspiration to make this, it was not something I ever thought could be done home made. I just tried my first batch which has been seeping for a few days and while delicious and refreshing, doesn’t taste familiar as tonic water. I used the powdered bark after reading some comments on Amazon but I think it probably made the brew much more cloudy. I also found that it was very sour so I will add less than 3 Tblsp of citric next time. I can’t wait to share this with our British friends and see what they think! Even Williams Sonoma has a tonic making kit now…go figure. Thank you for the story and the recipe, David. I will try to gather all the ingredients and make my own tonic water! I think I will omit the star anise and cardamom as I am not a big fan of the flavors. Thank you for the links and all the details. When visiting my daughter in Paris, I was pleasantly surprised to find lemongrass at the large Monoprix on Rue du Bac. I love gin and tonics and will definitely give this a try. Thank you! Looks great; I’ll have to try this.